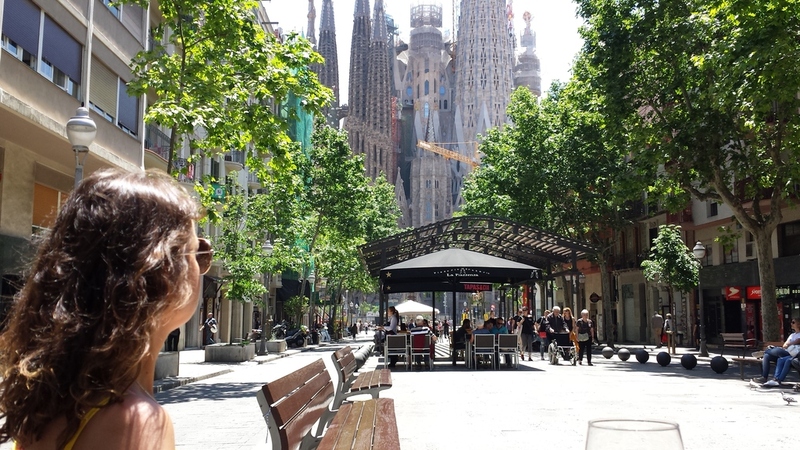 At breakfast we asked one of the Dolce hotel waiters (Dani) about the best route to see Antoni Gaudi in Barcelona. He gave us some good instructions. We took a taxi from the hotel to Sitges (9 EUR), then the E16 coach to Barcelona (5 EUR each) and then we took the Metro from Plaza Universitat to Sagrada Familia on the L2 (Purple) line. The Metro is much like the London Underground only newer, cleaner and mostly in Spanish, which despite neither of us speaking Spanish, wasn't a problem as the locals are quite friendly and certainly willing to help. 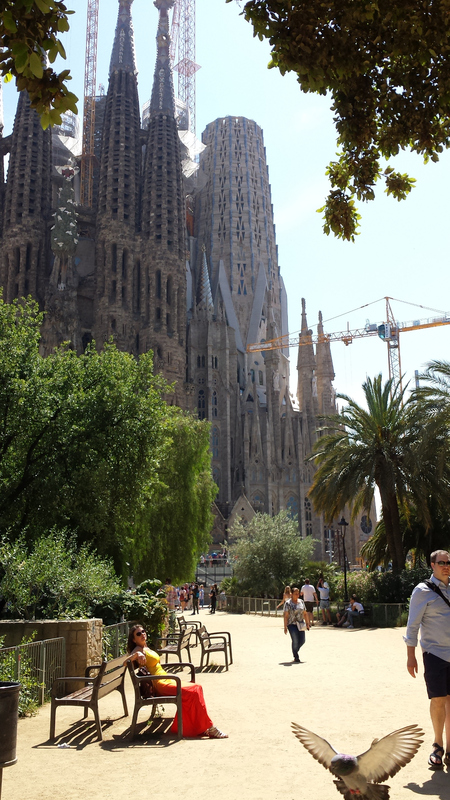 The building Gaudi designed and built is quite spectacular and extremely popular. We got there at 11:30 but the only tickets we could buy were for 19:00, so we had 5 hours to kill. In Barcelona this is quite easy to do with all the restaurants serving us CAVA Brut by the gallon ! From Wikipedia: Antoni Gaudí was a Spanish architect. He is the best known practitioner of Catalan Modernism. Gaudí's works have a highly individualised and one-of-a-kind style. Most are located in Barcelona, including his main work, the church of the Sagrada Família. Gaudí's work was influenced by his passions in life: architecture, nature, and religion. He considered every detail of his creations and integrated into his architecture such crafts as ceramics, stained-glass, wrought ironwork forging and carpentry. He also introduced new techniques in the treatment of materials, such as trencadís which used waste ceramic pieces. 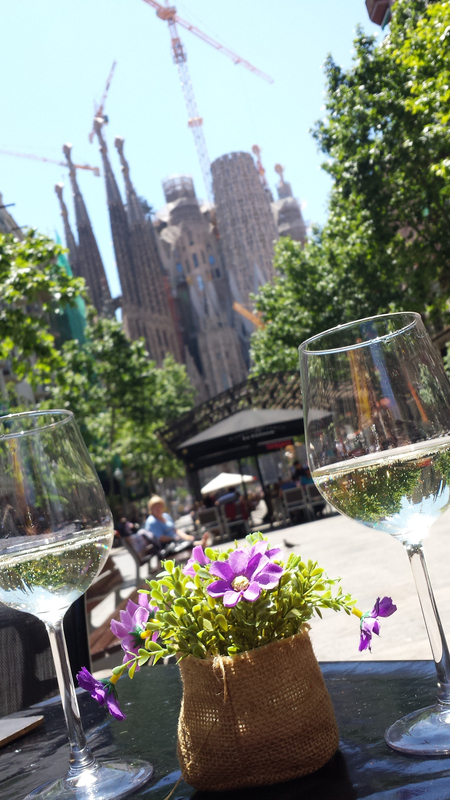 Barcelona is packed with lovely tree-shaded restaurants, so we relaxed with a glass of Cava Brut or three. We had a fabulous lunch at La Piazzenza (Shown in photo) and continued people-watching until 19:00 when we made our way to see Gaudi's magnificent building.